Add a little excitement to your game with the stylish bowling sock. Style was nice with pictures of bowling theme on socks..
is this for just one pair?? Yes, it is for just one pair of socks. 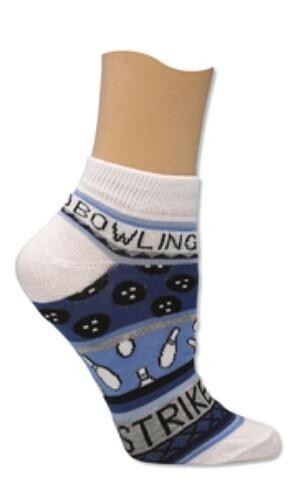 Due to the time it takes to produce the Master Ladies Blue Bowling Theme Socks ball it will ship in immediately. We cannot ship this ball outside the United States.